We offer a wide range of these Exhaust and Fresh Air Systems like exhaust blower outlet, fresh air inlet, gas bank, SS wall cladding and fresh air grills. These systems are used to keep the kitchen neat & clean and free from dust & smoke. Our ranges of these are made using stainless steel and latest technology. 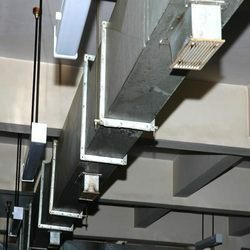 They are used to exhaust the smell from cafeteria, dining hall and the guest areas. These machines are highly appreciated for their features like high performance, less power consumption, robust construction and easy maintenance. One can avail from us a quality range of Fresh Air Inlet. 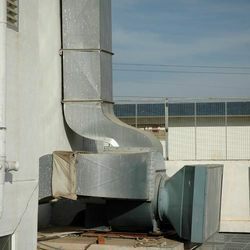 The Fresh Air Inlet we offer is widely demanded amongst the clients for its wide use. 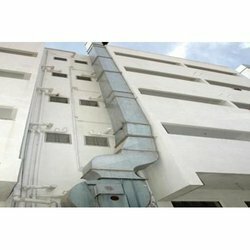 The Fresh Air Inlet we offer is made accordingly as per the requirements of the clients. SS (Stainless Steel) Wall Cladding is highly known for its stain resistant, corrosion resistant and long lasting performance. Our ranges of these are widely used for commercial and residential architectural applications. They are well known for their sturdy construction, perfect finish, high performance, corrosion resistance and require less maintenance. These are made from premium quality material and are easy to operate and available for competitive prices. Our clients can avail from us a superior range of Exhaust Blower Outlet that is manufactured using high quality material. These are stringently checked and tested by our quality controllers to ensure zero damage to our customers. Our range is available in varied shapes and sizes as per the clients required specifications. The machine has high efficiency and automatic in operation. They are used to prevent suffocation in rooms. They are widely known for their features high performance and easy operation. Clients can avail these for affordable prices. Keeping in mind changing requirements of the clients, we are offering a quality range of Fresh Air Grills. 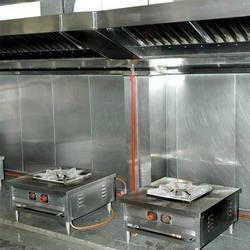 The Fresh Air Grills we offer is widely demanded for its quality and reliability. These products are made by using quality material. Looking for Exhaust And Fresh Air Systems ?